A Danish bike hire scheme has installed new bikes in Paris, in an attempt to succeed where other companies have failed. Donkey Republic, founded in Copenhagen in 2014, has installed 250 bikes in the capital as a test, and is positive that its systems will withstand the risk of theft or vandalism. 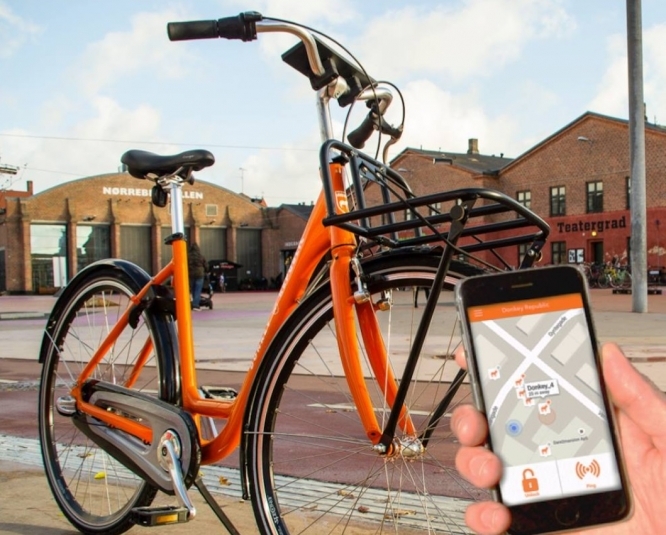 The company works with a smartphone app, bike rack “hubs” and “smart locks”, from and with which the bikes must be collected and deposited, to avoid them being left anywhere “in the wild”. There are currently new hubs in 11 of the 20 Paris arrondissements. This system is distinct from other bike hire schemes, some of which have previously allowed Parisians to take a bike, and leave it wherever they choose when they are finished with it. Although slightly more expensive than its competitors, Donkey Republic is confident that it will make an impact, because, it says, its bikes have a two-year battery life span and are easier to find. This is due to what it calls the convenience and simplicity of its “hub system”. Meriem Lwahhabi, business developer at Donkey Republic, said: “Paris is the ‘city of lights’ and popular with many tourists. It is important for us to test here before any other French town. "We have a good relationship with the Mairie, and the capital works well for us to test our system, and analyse the public’s use [of the bikes]." 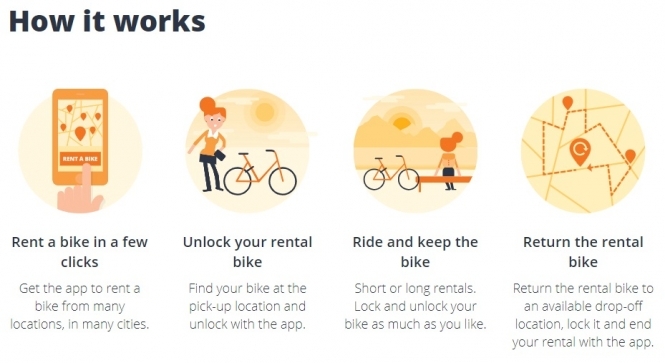 Donkey Republic is the latest company to attempt a successful bike hire scheme in Paris, following Mobike, Obike, Ofo, Vélib, and Gobee.bike. Both Vélib, and Gobee.bike were forced to announce their departure from Paris in February and December respectively last year, after citing “mass destruction, theft, and vandalism” of their bikes. At the time, a statement said Gobee.bike had seen “3,200 bikes vandalised; over 1,000 stolen or taken for private use; 280 police complaints; and 6,500 emergency [repair works] done”. Similarly, Vélib - financed by advertising giant JCDecaux - was introduced to Paris in 2007, but shut down after over 8,000 bikes were stolen, and vandalism rates reached 80%. Some said the vandalism of the bikes was a symptom of revolt by underprivileged youth, who saw the paid-for schemes as a symbol of the urban, affluent middle class. Yet, Donkey Republic - - which already operates bikes across the UK, Denmark, Germany, Austria, Hungary, Spain, Holland, Norway and Finland - appears confident that it can overcome this issue. Ms Lwahhabi said: “[The vandalism] had worried us, but we have different technology [to help]. We have a ‘smart lock’ that can only be opened with our own app during the time of hire. Our bikes can also be chained up on public hoops, as we give you a bike lock chain during your hire.